Furniture: A completely functional kitchen with household equipment such as a coffee machine, kettle, oven and four stoves. It features a cosy corner seat and a couch that can also be turned into a bed. The rustic-style bedroom comprises a double bed and integrated additional beds. 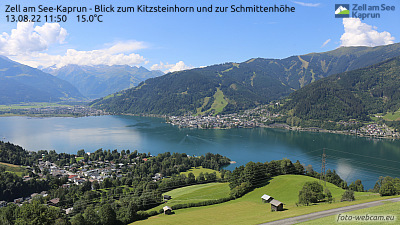 The apartments each have two balconies with patio furniture, where you can enjoy beautiful views of Lake Zell as well as the Schmittenhöhe, Kitzsteinhorn and Hohe Tauern mountains, and much more.